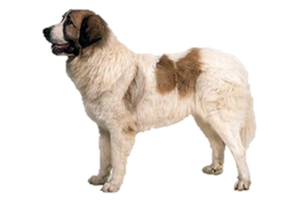 The Pyrenean Mastiff is a large livestock guardian that traditionally worked with sheep. Livestock guardians do not herd their charges, but instead protect them. They live with the flock, wearing heavy spiked collars and fending off large predators that included bears and wolves. In more modern times they found work as guardians of large estates. An ancient breed, it is believed the ancestors of the Pyrenean Mastiff were Middle Eastern dogs, brought to the Iberian Peninsula by the Phoenicians around 1000 BC. Once each region or district had its own mastíns, however these were condensed into two types in the 1940s. The longer coated dogs from the north became the Pyrenean Mastiff, while the shorter coats from other regions took the name Spanish Mastiff. Is the Pyrenean Mastiff Right for You?